Where does your cat go when he's outside? Although he might feel like he's being spied on, a new GPS tracking collar can let you know where he is at any given moment. Jeremy Price began working on the collar after his own cat disappeared for 10 days. "It was the worst 10 days of my life," he says in a video on his website. Monty did come home, but Price vowed he'd never go through the worry and anguish of a lost cat again. Although there are other GPS tracking collars for animals, Price says his Pawtrack is different from the others in several ways, the main one being that it's designed specifically for cats. A GPS/GLONASS antenna is attached to the collar at the back of the cat's neck rather than under his chin for a more accurate reading. 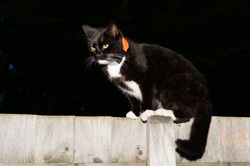 When the cat is outside, the collar uses the mobile phone network to stay in touch with Pawtrack's server. A built-in WiFi antenna connects with your home WiFi network to let you know your cat's inside and power off the battery until the cat goes out again. Outside, information on the cat's whereabouts is uploaded to the server every 10 minutes or on demand if you're really curious. When the collar goes on sale in November, it will cost $124.99 in the US. The monthly fee will be $9.99. Sounds pricey. 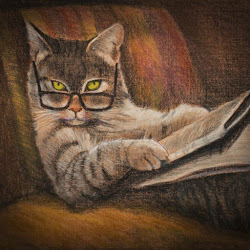 But if you have a wandering cat, it might be worth the cost to have some peace of mind.